Life lessons are a beautiful thing, you can find them in the most peculiar places. Like from the Moomin Valley. 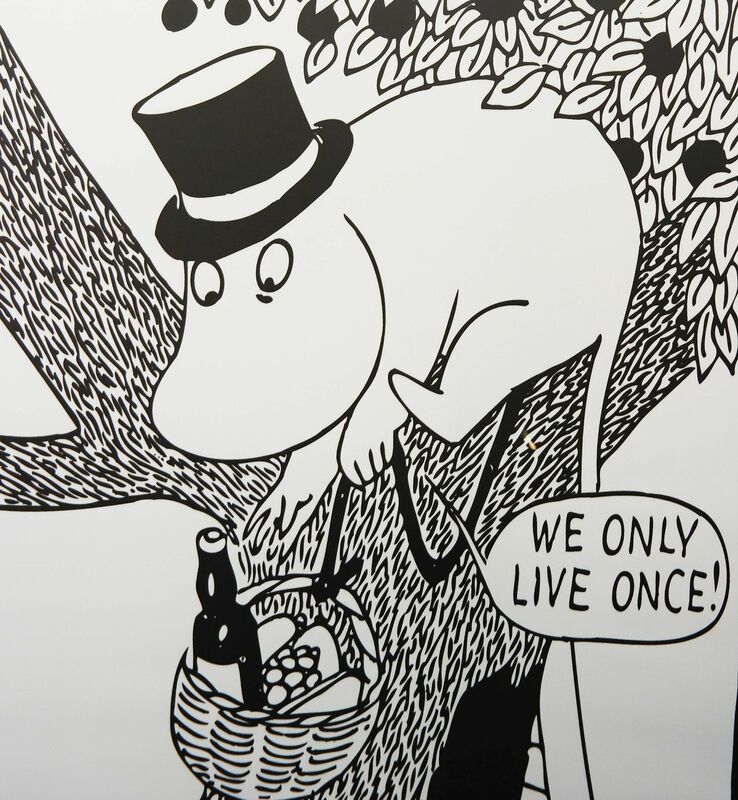 Many countries have a world famous fairytale character – Danes have Little Mermaid, Swedes have Pippi Longstocking, Belgians have Tintin, and we Finns have Moomins. The Moomins are pastel colored hippo-like creatures living in a valley with a bunch of other peculiar individuals. They also happen to be my favorite people. If a genie granted me a wish to meet anybody in person, my choice would be to visit the folks of the Moomin Valley. The relationship between me and the Moomins has lasted over twenty years. Books, comic albums and one massive video collection of the TV series. My parents recorded 15 video cassettes full of the 23-minute long episodes. Respect for them, because this was the time when stuff like that was only done manually. I think we missed like three of all 101 episodes. A bold hat makes an outfit. It is okay to want to sleep the whole winter. 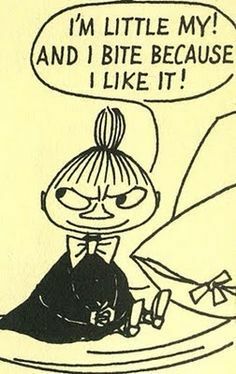 Moomins do. Treat differences with curiosity, not prejudice. Whenever you have the possibility, lie on your back and watch clouds. Even your greatest fear can’t hurt you. Stay away from children who have seen the episode in which Little My bites people. Icecubes help, if you didn’t listen to me at point 7. Pumpkin soup is delicious. If it’s on the menu, always have it. Moomins are amazing at any age! Such quirky characters and storylines.